Tommy Chong: It's my birthday! To celebrate, I want to do something really special, and I'm going to need your help. What I want is to see marijuana legal in my lifetime. I know what you're thinking. "Tommy, after 74 years of marijuana being illegal and 100,000s of marijuana arrests every year, how could we possibly forget your birthday?" I know, right? You can make it up to me by helping turn my dream into a reality. If you make a $25 donation in my honor to the Marijuana Policy Project, they can start work on numerous medical marijuana ballot initiatives this year. Namely in Arkansas, Idaho, Missouri, and North Dakota. And if you're feeling really bad about forgetting my birthday, you could sign up to make a monthly credit card donation to support MPP’s plan to legalize medical marijuana in 27 states by 2014. It's the gift that keeps on giving! These ballots aren't going to initiate themselves! Please help make my birthday wish come true and support the work of the Marijuana Policy Project. Thanks, man. PS: I’m proud to announce that I’m joining MPP’s VIP advisory board. I spent nine months in federal prison because of the government’s ‘war on drugs’. We need to change marijuana laws and MPP is doing just that. MPP will be able to tackle all of the projects in our 2011 Plan if you help us meet this challenge. [Trenton - New Jersey] Attorney General Paula Dow sat down with the Coalition for Medical Marijuana NJ (CMMNJ) on May 24th at her office in Trenton. The AG and her staff held the meeting to hear concerns from local advocates about the compassionate use marijuana program that has now been suspended by Governor Christie. Ken Wolski RN, the executive director of CMMNJ, was grateful for the interaction. On April 22, 2011 Dow sent a letter to the Department of Justice in Washington DC requesting clarification about the medical marijuana law. Several US Attorneys have recently issued letters in other states with a clear description of how federal authorities will prosecute medical marijuana facilities, even if they are permitted under state law. In Washington, Montana and other states the letters were accompanied by DEA raids of local medical cannabis dispensaries. NJ Attorney General Paula Dow stated in the meeting that she sent a follow-up letter to the US Department of Justice, addressed to US Attorney General Eric Holder, on May 23, 2011. Paul Fishman, the US Attorney for New Jersey, has not sent any communication regarding the NJ medical marijuana law before or after Dow’s requests. A spokesperson at the US DOJ said the April 22nd letter from New Jersey had been received and was under review. Chris Goldstein, the media coordinator at CMMNJ also attended the meeting. “Not a single person in New Jersey has been able to register for medical cannabis, despite many promises from Governor Christie,” said Goldstein, “But I think that we had a meaningful exchange of new ideas with Attorney General Dow. The intent of The Compassionate Use Medical Marijuana Act is to grant legal access to seriously ill residents. There are some methods that the AG's office can explore to actively protect New Jersey’s medical cannabis patients today." New Jersey passed the first compassionate use law in the country that forces patients into a centralized system of just six Alternative Treatment Centers to access all of their state-legal cannabis. There are no provisions in the NJ law to allow patients or caregivers to cultivate cannabis on their own. The law was supposed to have been fully implemented in the summer of 2010 but has suffered numerous delays. CMMNJ’s Ken Wolski is looking forward to meeting with the one state official who has exercised the most influence over the medical marijuana law: Governor Chris Christie. As you might have read or heard, a broad coalition of organizations that includes Sensible Colorado has submitted language for a 2012 statewide legalization initiative in Colorado. The yet to be finalized measure would remove penalties for private marijuana possession and limited home growing, and establish a legal and regulated marijuana market for adults 21 and older. We went through an exceptionally exhaustive five-plus-month process to produce the filed initiative language, which we believe is incredibly strong and presents the best route to ending marijuana prohibition here in Colorado. We coordinated with dozens of organizations, attorneys, activists, patients, marijuana business owners, and other stakeholders, both in Colorado and around the country. We also solicited comments from the public via our organizations' lists of thousands of Colorado reform supporters, magazine ads, and events around the state. We are still engaged in the process of fine-tuning the initiative, so please do not hesitate to reply to this e-mail if you have any specific concerns or questions, which we will take into strong consideration and address as quickly as possible. As you can imagine, it is incredibly difficult if not impossible to produce initiative language on which everyone will agree entirely. But it remains our sincere hope that supporters of reform across Colorado will feel comfortable with the final product, become part of this growing coalition, and work together toward our shared goal of ending marijuana prohibition. *Washington, DC* -- A Coalition of advocacy groups and patients filed suit in the DC Circuit Court today to compel the Obama administration to answer a 9-year-old petition to reclassify medical marijuana. The Coalition for Rescheduling Cannabis (CRC) has never received an answer to its 2002 petition, despite a formal recommendation in 2006 from the Department of Health and Human Services (HHS) to the Drug Enforcement Administration (DEA), the final arbiter in the rescheduling process. As recently as July 2010, the DEA issued a 54-page "Position on Marijuana," but failed to even mention the pending CRC petition. Plaintiffs in the case include the CRC, Americans for Safe Access (ASA), Patients Out of Time, as well as individually named patients, one of whom is listed on the CRC petition but died in 2005. "The federal government's strategy has been delay, delay, delay," said Joe Elford, Chief Counsel of ASA and lead counsel on the writ. "It is far past time for the government to answer our rescheduling petition, but unfortunately we've been forced to go to court in order to get resolution." The writ of mandamus filed today accuses the government of unreasonable delay in violation of the Administrative Procedures Act. A previous cannabis (marijuana) rescheduling petition filed in 1972 went unanswered for 22 years before being denied. The writ argues that cannabis is not a dangerous drug and that ample evidence of its therapeutic value exists based on scientific studies in the US and around the world. "Despite numerous peer-reviewed scientific studies establishing that marijuana is effective" in treating numerous medical conditions, the government "continues to deprive seriously ill persons of this needed, and often life-saving therapy by maintaining marijuana as a Schedule I substance." The writ calls out the government for unlawfully failing to answer the petition despite an Inter-Agency Advisory issued by the Food and Drug Administration in 2006 and "almost five years after receiving a 41-page memorandum from HHS stating its scientific evaluation and recommendations." The two largest physician groups in the country -- the American Medical Association <http://AmericansForSafeAccess.org/downloads/AMA_Report.pdf> and the American College of Physicians <http://www.acponline.org/advocacy/where_we_stand/other_issues/medmarijuana.pdf> -- have both called on the federal government to review marijuana's status as a Schedule I substance with no accepted medical use and a high potential for abuse. The National Cancer Institute, a part of the National Institutes of Health, added cannabis to its website earlier this year as a Complementary Alternative Medicine (CAM) and recognized that, "/Cannabis/ has been used for medicinal purposes for thousands of years prior to its current status as an illegal substance." Medical marijuana has now been decriminalized in 16 states and the District of Columbia, and has an 80% approval rating among Americans according to several polls. In a 1988 ruling on a prior rescheduling petition, the DEA's own Administrative Law Judge Francis Young recommended in favor of reclassification stating that, "Marijuana, in its natural form, is one of the safest therapeutically active substances known to man." A formal rejection of the CRC petition would enable the group to challenge in court the government's assertion that marijuana has no medical value. "Adhering to outdated public policy that ignores science has created a war zone for doctors and their patients who are seeking use cannabis therapeutics," said Steph Sherer, Executive Director of ASA and a plaintiff in the writ. Jon Gettman, who filed the rescheduling petition on behalf of the CRC added that, "The Obama Administration's refusal to act on this petition is an irresponsible stalling tactic." A synthetic form of THC, the main chemical ingredient in the cannabis plant, is currently classified Schedule III for its use in a prescribed pill trademarked as Marinol®. The pill goes off-patent this year and companies vying to sell generic versions are petitioning the government to also reclassify the more economical, naturally-derived THC (from the plant) to Schedule III. The rescheduling process involves federal agencies such as the National Institute on Drug Abuse, HHS, and DEA. On average, it takes 6 months from HHS review to final action, whereas it's been nearly 5 years since HHS issued its recommendation on the CRC petition, more than twice as long as any other rescheduling petition reviewed since 2002. It was nice while it lasted, but it didn't last long. 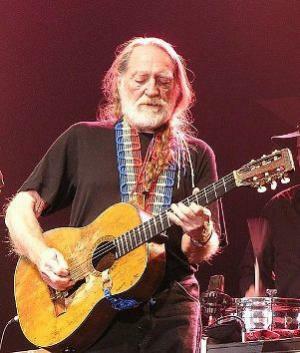 On May 17, in a pair of press releases (here and here), Willie Nelson's Teapot Party and the campaign of Republican presidential contender Gary Johnson announced the Teapot Party's endorsement of Johnson. The next day, Willie changed his mind. In a Teapot Party blog post, Steve Bloom of Celebstoner.com, who had played a key role in setting up a meeting between Nelson and Johnson ten days ago and who played a similar role in getting the campaign and the party to announce the endorsement, explained what happened. After the Texas meeting, Willie sent an email to Bloom saying, "I think we ought to endorse him." That email was the basis for the twin announcements Tuesday. But when Bloom sent the press release and media coverage links to Nelson, he got a surprise. "My position is it too early for me to endorse anyone," Willie responded. "And I think everyone should vote their own conscience." Bloom replied, reminding Willie that he had okayed the endorsement. "I know I said that," Nelson responded. "But I think I will wait and see where he stands on other things. My bad. Sorry. I still think he is a good guy, but so is Dennis [Kucinich] and if he decided to run I would personally vote for him. If it came down to either him or Gary I'm already committed to Dennis. They both have said they support legal pot." When Bloom replied, reminding Nelson that the Johnson endorsement was only for the Republican nomination, Willie again demurred. "The Teapot Party is millions of people," he replied. "It's not me. I jokingly said after I got out of jail in Texas that there is a Tea Party and there should be a Teapot Party. The difference between us is we follow our own drummer. No one can tell us how to think. If we back someone, that's us telling them how to vote. I'm not qualified. You can say or do anything you like and I will do the same but let's don't back a political candidate. Let's give our opinions and say what we know about everyone but let's let everyone decide for themselves." What's next, then? Bloom asked Nelson. "I still say that the people have the power to change things and they will if they vote," Nelson replied. "The Teapot Party started as a joke but it could still be a way for people to speak out about important things. I am not a criminal. The millions of pot smokers in this country are not criminals. We don't like being treated as such and I for one will stand up for what I believe in and will vote for anyone I choose. You should do the same. We are not ever going to agree on everything and everybody. The best advice I ever got was from my ex father-in-law. He said take my advice and do what you want to. End of story." Bloom reported one more email from Nelson: "This will blow over and the world moves on. No harm done. We sound like a bunch of pot smokers, that's all... The more I get into politics the more I realize that I am a guitar player." In the past few months, United States Attorneys General in Arizona, California, Colorado, Hawaii, Montana, Rhode Island, and Vermont have issued letters threatening federal action against any entity, including state employees, participating in state sanctioned medical cannabis programs. While our community has seen these types of letters under previous administrations, it is disappointing to see President Obama sanction this behavior. While many promises have been made by Obama to end raids on the medical cannabis community, these DOJ threat letters are yet another tactic of the federal government to interfere with patients’ right to safe access. ASA recently issued Obama’s Medical Cannabis Report Card, showing he has failed at improving conditions for our community. These threat letters are further evidence of the broken promises of the current administration and proof that our community is under attack. Over the next couple of weeks, our community must call upon our state representatives for leadership. We must urge our governors, whether they have received a threat letter or not, to join Americans for Safe Access in a push back against the U.S. Attorneys who have issued these threat letters against our community. In order to make this campaign a success, your governors needs to hear from you. As a constituent, ask for his or her leadership against federal interference. Call your governor today and use the following script. Please find contact information for your governor below. The District of Columbia should reach out to Mayor Gray whose number is listed below, and also included in the electronic action alert. As a concerned medical cannabis community member and your constituent, I am worried about the impact these threat letters from the Department of Justice and the potential for federal interference will have on safe access to medical cannabis in my state. Letters have been issued to eight states so far, and we need to send a message asserting our state’s right to safe access. We need you the lead the charge to end federal interference and work toward creating policies that will resolve the federal conflict once and for all. You may also participate in our online action alert by clicking here to ask your governor and congressional leaders to take a stand for safe access. Tell the Obama Administration to keep its word and stop threatening medical marijuana programs. Write Attorney General Holder now! Medical marijuana patients across the country are under attack! Despite the Obama Administration's promise to respect state laws, lawyers in the federal government are now threatening to arrest and prosecute people who are legally licensed to grow medical marijuana under state law. These ideologues are trying to block sensible regulation – and they've already succeeded in Washington State. We must stop them from erasing all the progress we've made and from leaving patients out in the cold. Write U.S. Attorney General Eric Holder today to demand that the federal government keep its promise to respect state medical marijuana laws. Back in 2009, the Obama Administration said they wouldn't use "justice department resources to circumvent state laws" on medical marijuana. They've kept their promise for the past two years, even issuing a memo that made this hands-off approach official policy. But now, federal government lawyers are intimidating states with new medical marijuana programs in an attempt to end these programs before they even get started. It's already happened in Washington State, where the governor vetoed a promising medical marijuana bill. And if these threats continue, they could jeopardize our efforts in every state where medical marijuana legislation is on the table. These lawyers are playing politics with the lives of patients who need medical marijuana to cope with debilitating pain and nausea. Take action now and ask the Attorney General to keep the Administration's promise to leave state medical marijuana programs alone. To put a stop to these scare tactics, we don't need any laws changed – we just need the Attorney General to tell the handful of people sending the threats to stop. Write Attorney General Holder today and ask him to keep his word by respecting patients' needs. Then please spread the word – everything we've worked so hard to achieve is at risk! ANNAPOLIS – Maryland became the 16th state to remove criminal penalties for the medical use of marijuana today when Gov. Martin O’Malley signed SB 308 as promised. The bill allows seriously ill patients to avoid prosecution when charged with marijuana possession and creates a commission to study medical marijuana laws and make recommendations on how Maryland can institute such a program. This is the first time since 2003 that additional protections were considered, and it’s an important step toward protecting medical marijuana patients from arrest and ensuring that they have safe access to their medicine. Under the new law, individuals diagnosed with debilitating medical conditions, such as cancer or multiple sclerosis, can avoid conviction if charged with the non-public use or possession of one ounce or less of marijuana. An existing sentencing mitigation will remain part of the law, meaning patients who don’t qualify for the full affirmative defense would still have the opportunity to present evidence of medical necessity and have their sentence reduced to a $100 fine. In addition, a work group consisting of medical, legal, and law enforcement experts would be convened to recommend more comprehensive legislation next year. Advocates hope to be able to use that recommendation to pass a bill that offers patients complete protection from arrest and prosecution. The work group should have the ability to observe a well-regulated medical marijuana program run by their neighbors in the District of Columbia. In April, the District began implementation of its long-awaited medical marijuana program by accepting applications for licensed and well-regulated cultivation centers and dispensaries. That program should be fully operational later this year. With more than 124,000 members and supporters nationwide, the Marijuana Policy Project is the largest marijuana policy reform organization in the United States. For more information, please visit www.mpp.org.